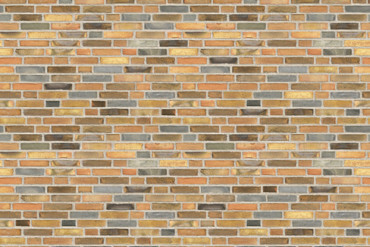 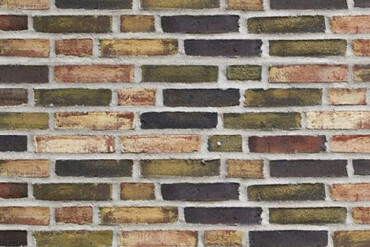 The Danish company Petersen Tegl produces façade clinker bricks and waterstruck bricks. 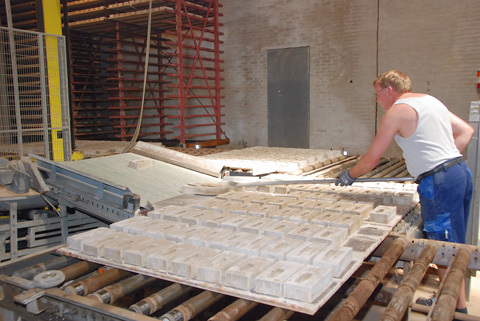 The waterstruck process involves pressing a wet lump of clay into a wet mold. 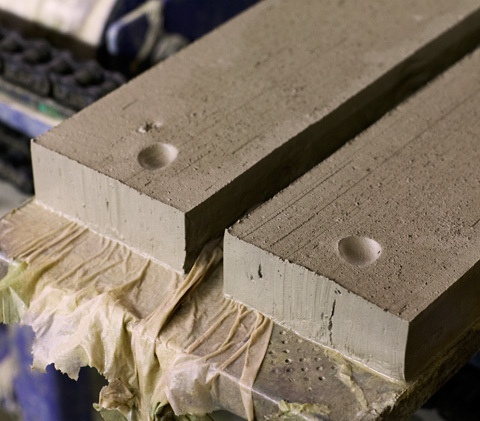 The excess clay is then removed, following which the mold is lifted, leaving the soft brick, because the water functions as a lubricant. 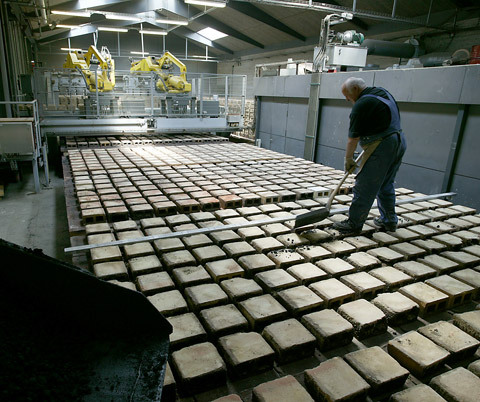 After drying out for several days, the bricks are fired in a kiln, with charcoal as fuel, and then mixed and packed. 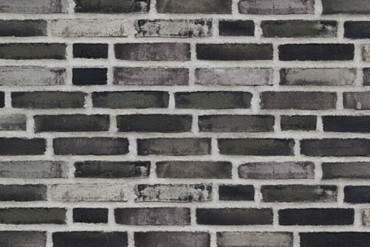 The resulting uniformly different bricks in a uniquely varied range of colors are all pre-mixed and ready for use at the construction site. 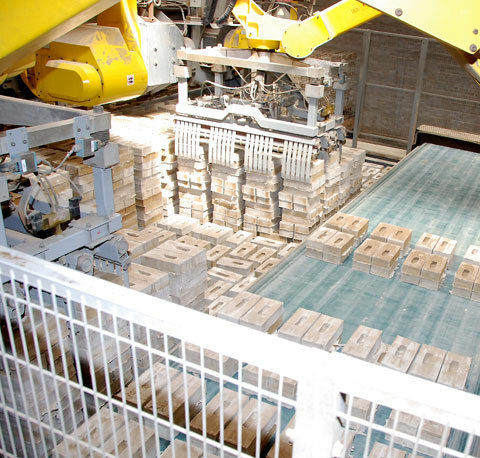 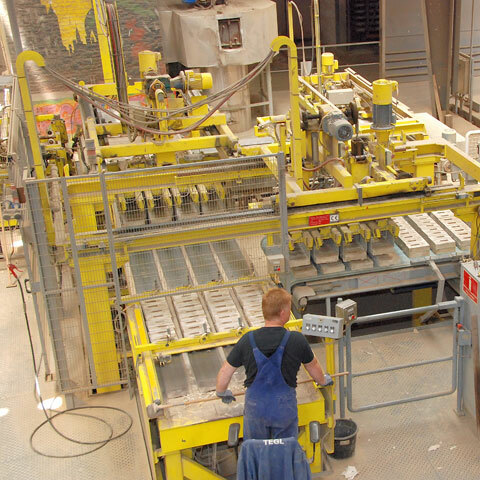 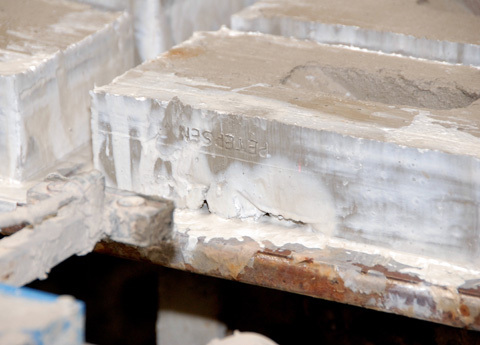 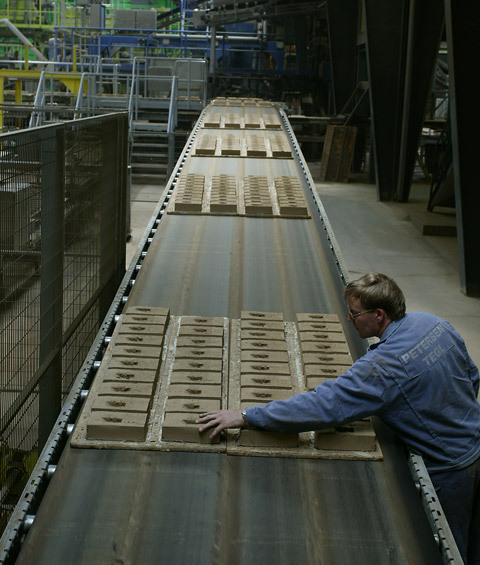 In total, Petersen Tegl produces 19 million bricks per year. 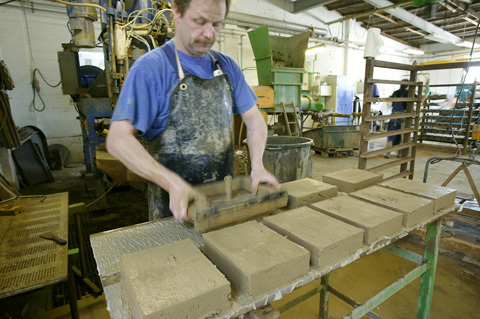 The well-known Kolumba bricks, developed in collaboration with architect Peter Zumthor, are generally handmade. 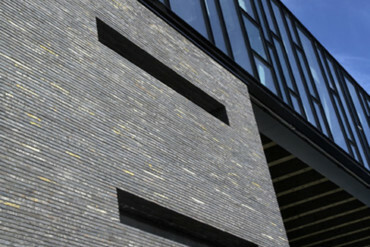 Moreover, the company offers a special range of molded bricks, glazed tiles and special terracotta, which can be used both for new buildings and sophisticated restoration projects. 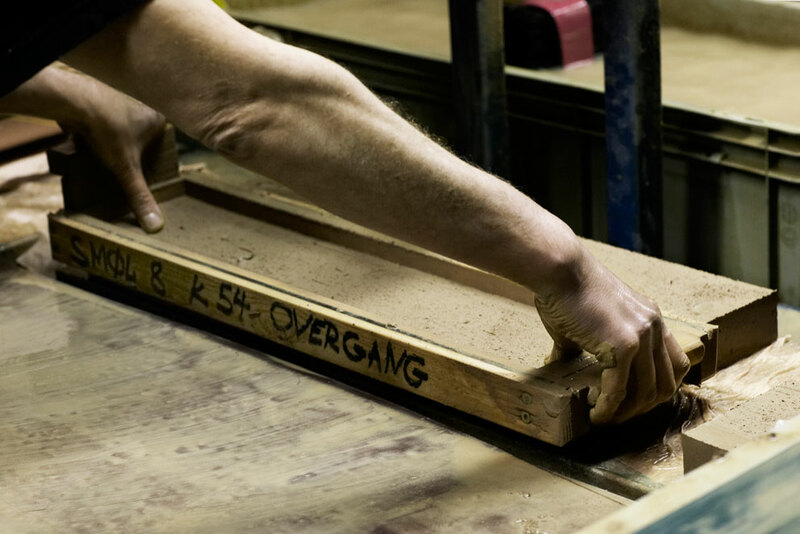 Petersen Tegl also produces tailored shapes and special forms for architects on request.